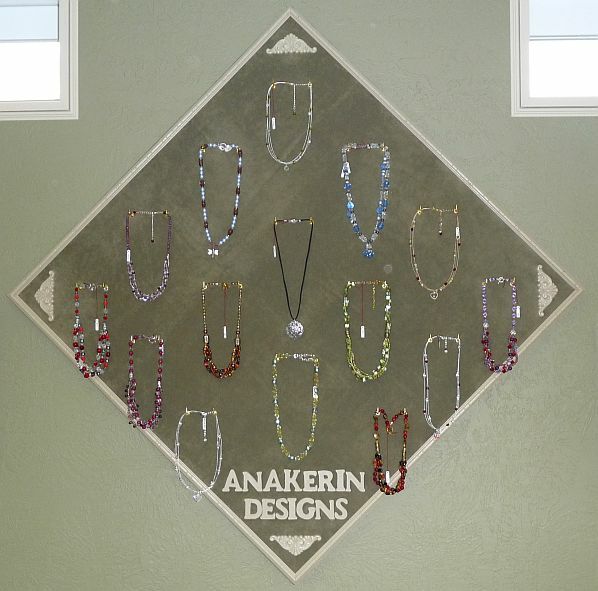 ANAKERIN DESIGNS are hand-made jewelry from two local talents. They have been making jewlry for their friends and families for years. When I would wear their jewelry, I would get so many compliments, so I asked them if they would consider selling their designs in my salon. I was delighted when they accepted the offer. I think it adds a nice touch to the salon. 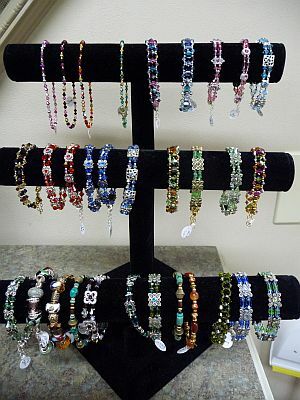 There are different colors and styles to choose from, and some of them will be one-of-a-kind. 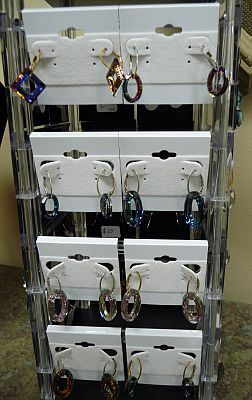 If you see a style you like, but want it in another color, they will also do custom work to your delight. I think you will enjoy the jewelry as much as I do. 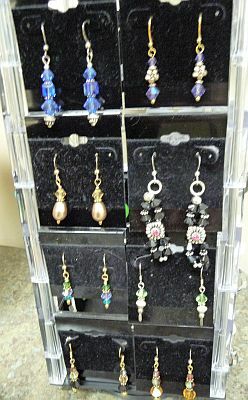 Below are a few samples of the beautiful jewelry available at Shear Style hair salon by Anakerin Designs.